The Greater Spokane Valley Chamber of Commerce has announced the hiring of the new President and CEO, Katherine Morgan. "After an extensive search and selection process we are excited to bring Katherine to the Valley Chamber. She brings a new energy level, passion and a vision to make the Greater Spokane Valley one of the best places to live and work in America," said Barry Baker, Chairman of the Board. Katherine was raised here in the northwest and is a graduate of Gonzaga University. After spending time in the Midwest, Katherine came back to the Spokane Valley, her home. With her very extensive association and marketing experience combined with her energy, Katherine is excited to meet current as well as potential chamber members. After more than 16 years as CEO of Inland Northwest Health Services (INHS), Tom Fritz announced yesterday that he will retire at the end of the year. Under Fritz's leadership, the non-profit organization extended its reach and customer base and has become one of the largest employers in Spokane County with more than 1000 employees. What once operated in the red, INHS achieved 2013 gross revenues of more than $200 million. The Knights of Columbus building at 302 E. Boone Ave., a fixture in the Gonzaga University neighborhood for more than a half-century, has been sold to the University, the Knights of Columbus Council 683 and Gonzaga announced today in a joint statement. The building was constructed in 1957 to serve as the Catholic fraternal service organization's Spokane headquarters. The long and mutually supportive relationship between Gonzaga and the Knights is reflected in terms of the sale. The Knights entered into an option agreement with Gonzaga seven years ago. The agreement allowed the University to purchase the property no later than the end of August 2014, while providing the organization financial assistance and time to identify an alternate location. Chuck Murphy, Gonzaga's vice president for finance, said Gonzaga exercised its option to purchase the property. The sale price was not disclosed. John Kupice, Deputy Grand Knight of Council 683, said the organization has experienced an aging and declining membership over the years and the sale makes sense for the organization and the University. Knights of Columbus Council 683 starts a new chapter in the Logan neighborhood and greater Spokane. The council will focus on our Core Values of our Mission Statement: 1. charitable activities; 2. fraternity; and 3. Catholic faith-based outreach. While the Knights of Columbus considers options viable to transitioning to a new location, it will lease from Gonzaga approximately 20 percent of the building, which includes the lounge area, a meeting room and an office. Council 683 will continue to have use of the building’s meeting hall and kitchen for Council membership meetings, Catholic faith, and fundraising events until Gonzaga needs the location for campus use. The Rock City Grill is now serving BREAKFAST! Starting yesterday Rock City Grill is serving breakfast from 9:30am-3pm every Sunday throughout the entire football season. Chef Tim Simpson and Sous Chef Jordan Berger have created mouthwatering breakfast dishes that are sure to impress and satisfy your Sunday breakfast cravings. The Blue Martini bar is featuring Batch No. 12 Vodka Bloody Marys for all Seahawks 12th man super fans. The Inland Northwest's largest credit union has begun to issue highly secure 'smart' credit cards to members who frequently travel internationally, where merchants are already set up to accept chip-equipped cards. The move marks the first step in STCU's year-long plan to replace more than 62,000 Visa Platinum and Visa Business credit cards with new, microchip-equipped credit cards, says Russell Palmer, manager of the card services department. Initially, STCU will issue chip-equipped credit cards only. The not-for-profit financial institution expects to begin issuing chip-equipped debit cards in late 2015 or 2016. As the area's leading credit union, STCU is among the first Spokane-based financial institutions to begin issuing chip-equipped credit cards. The move is welcome news to the organization's 129,000 members, as reports of hackers stealing personal and financial data from major retail chains has become almost a weekly event. Home Depot, Albertsons, Michael's, and P.F. Chang's are among the stores who have confirmed in recent weeks that data was stolen from debit and credit cards used at their stores and restaurants. Spokane Civic Theatre has named Marnie Rorholm as its new Managing Director, effective October 3, 2014, just in time for the 68th Season. Ms. Rorholm comes to Civic from the City of Spokane where she most recently the Office Manager of Business and Developer Services. At Civic, Rorholm will support continued efforts to grow the theatre financially; increase community partnerships; expand its volunteer and member bases; and continue to support the arts in the Inland Northwest. Prior to her position at City of Spokane, she was the Director of the Mayor's Office (David Condon), and also held positions at Gonzaga University in various Student Life capacities. Ms. Rorholm is a lifetime Spokane resident who joined Spokane Civic Theatre as a volunteer over 12 years ago. Rorholm has worked on many Civic shows and served on Civic's Board of Directors. Her theatre experience also includes participation at several regional theatres and a position on the Board of Directors for Interplayers Resident Professional Theatre. Marnie Rorholm holds an MBA in Business Finance from Gonzaga University and a BSC in Marketing from Santa Clara University. The largest nonprofit provider of affordable housing in Spokane and Lincoln Counties has a new Chief Financial Officer. Crystal Hillier replaces Fred Peck, who recently was named Spokane Housing Venture's Executive Director. Hillier previously was employed by Catholic Charities as a Senior Property Accountant. Crystal is a graduate of Eastern Washington University where she received her B.A. in Business, majoring in Accounting. Spokane Housing Ventures owns and manages 21 properties and 895 housing units throughout the two counties. Their units are at 97 percent occupancy and provide homes for more than 2,000 people. 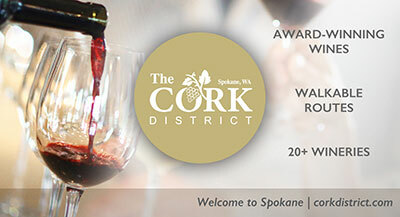 The Connoisseur's Club at the Lincoln center presents a special winemakers dinner, with Thurston Wolfe Winery from Prosser, WA. This special dinner is this Friday, September 12 from 6-10pm and will feature 5 courses, each paired with Thurston Wolfe wine. 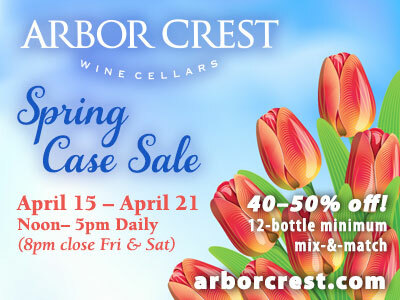 Cost is $55 per person, and Connoisseur Club members receive a 20% discount. For more information and tickets, visit thelincolncenterspokane.com. The Lincoln Center is located at 1316 N Lincoln.